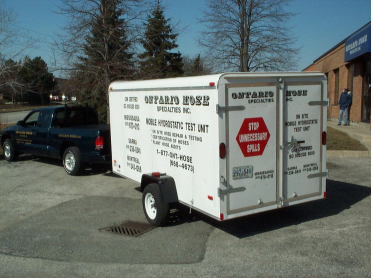 On Site Testing & Training - Ontario Hose Specialties Limited. On Site Testing – We will test and certify your hoses at your location. Hose Safety Audit – We will perform and audit any or all hoses in your facility, record this information in a data base and present the findings to you. On Site Training – How to test hoses, attach end fittings, how to be safe using hoses and hose storage. Hose Maintenance Reports – These are monthly reports available to you documenting hoses tested, purchased and repaired.